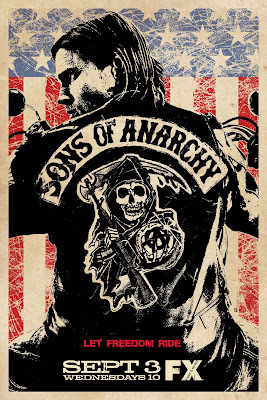 The show is about a motorcycle gang(Sons of Anarchy) who hang out, have fun, etc.. and they're also gun runners. Definitely a great show to watch and Hellboy's Ron Pealman is in it. This was the hottest show on TV. I have been tryig to find all the episodes so I coudl watch them again. Wish FX would run this show again. This is the BEST show on TV. Everyone at work and I mean everyone talks about this show. We all love it and we would like to know when the new season airs. Congradulations FX this show is your high water mark.